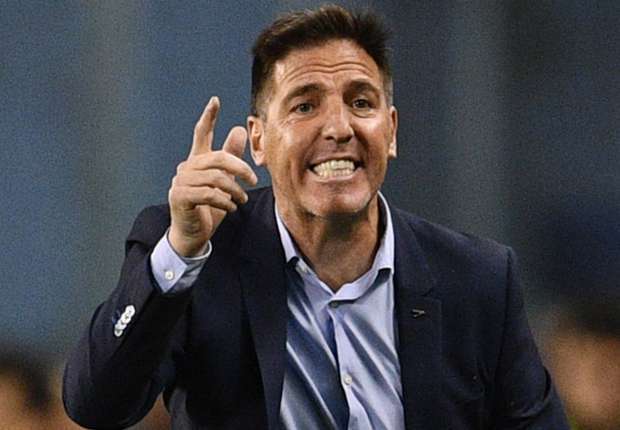 Sevilla manager, Eduardo Berizzo, has successfully undergone surgery for prostate cancer. The La Liga club’s medical department made the announcement on Tuesday. Berizzo had last week diagnosed with cancer just hours after Sevilla staged a remarkable comeback against Liverpool in the Champions League. “The recovery period of the Argentine coach will depend on the post-operative evolution in the coming days,” A statement released by Sevilla read. Berizzo recovery period will depend on his post-operative progress in the next few days. During Berizzo’s absence, his assistant, Ernesto Marcucci, will be in charge of first-team affairs. Marcucci’s first match at the helm comes on Wednesday against Cartagena in the fourth round of the Copa del Rey. Sevilla hold a 3-0 advantage over their Segunda Division B opponents from last month’s first leg.